Long term users of the popular recreational drug ecstasy (MDMA) risk structural brain damage, suggests preliminary research published online in the Journal of Neurology Neurosurgery and Psychiatry. Other research has suggested that people who use ecstasy develop significant memory problems, so the Dutch researchers wanted to find out if there was any clinical evidence of structural changes in the brain to back this up. They focused on the hippocampus, which is the area of the brain responsible for long term memory. They measured the volume of the hippocampus using MRI scans in 10 young men in their mid 20s who were long term users of ecstasy and seven of their healthy peers in their early 20s with no history of ecstasy use. Although the ecstasy group had used more amphetamine and cocaine than their peers, both sets of young men had used similar amounts of recreational drugs, bar ecstasy, and drank alcohol regularly. 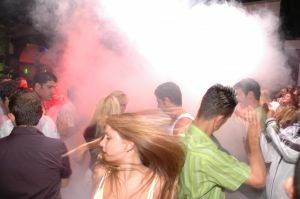 The ecstasy group had not been using on average for more than two months before the start of the study, but had taken an average of 281 ecstasy tablets over the preceding six and a half years. The MRI scans showed that hippocampal volume in this group was 10.5% smaller than that of their peers, and the overall proportion of grey matter was on average 4.6% lower, after adjusting for total brain volume. "Taken together, these data provide preliminary evidence suggesting that ecstasy users may be prone to incurring hippocampal damage, following chronic use of this drug," they write. They add that their findings echo those of other researchers who have reported acute swelling and subsequent atrophy of hippocampal tissue in long term ecstasy users. And they point out: "Hippocampal atrophy is a hallmark for diseases of progressive cognitive impairment in older patients, such as Alzheimer’s disease."